Gamora 바탕화면. . HD Wallpaper and background images in the Guardians of the Galaxy club tagged: photo. 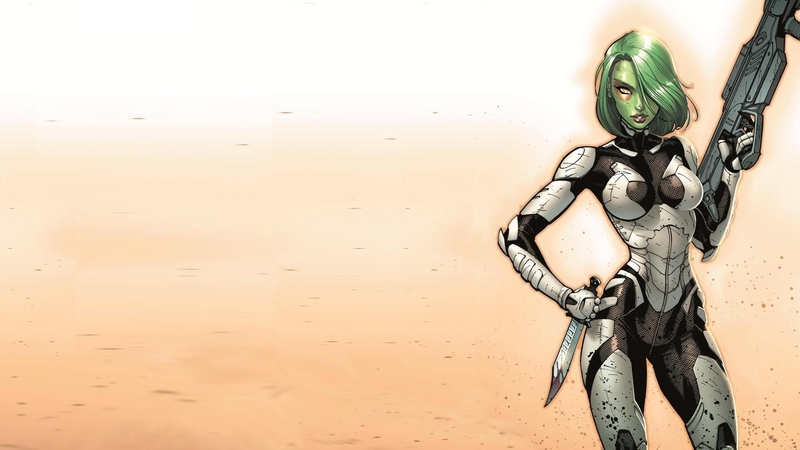 This Guardians of the Galaxy wallpaper might contain 라이플 총병, 라이플 맨, 라이플 총 병, hip boot, and thigh boot.